Are you a Woman? Do you have awesome basketball skills and knowledge? Are you willing to commit? Are you a team player? Are you athletic? The SUNDAY Training Schedule is released for Summer Season 2017/2018. COACHES WANTED for the 2017/2018 Seasons. The Lions are seeking applications from all dedicated and devoted Basketball Coaches. Teams from U10 to 23s require Coaches. 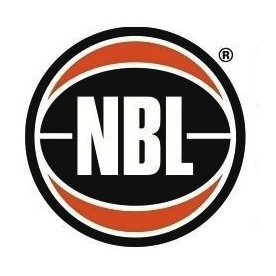 Central Districts Basketball Club 2016/2017 Season will be underway soon. Player registrations have officially closed with strong numbers of players. Central Districts Basketball Club 2016/2017 Season Junior Trials will be held on Sunday the 14th of August 2016. Notice of Annual General Meeting - ALL WELCOME. Player Lists per Divisions is now released for the Summer Season. Women's Premier League Head Coach position is open for Applications. Men's Premier League Head Coach position is open for Applications. Senior's Presentation Night is at the Albion Hotel for all Senior Teams. 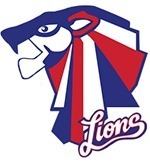 Do you want to coach a District Basketball Team at the Lions? Coaching applications are open across all divisions. Trials for ALL Teams is on Sunday 16th August. All New players are welcomed and ALL existing players are required to attend. Order your NEW Entertainment Book from the Club for your Team! All primary school students (R-7) are eligible to claim a sports voucher to the value of $50 that can be used at a club of their choice (Lions!) to subsidise membership fees. Sat. February 21st - STARplex. Supporter Member Packages are now available for $55 Adult/$20 Child. Includes 9 Home Games (including Finals), Exclusive T-Shirt, Sticker and Lion's Pride! Senior Presentation Night will be held on Friday 5th September 6:30 pm at the Mawson Lakes Hotel.